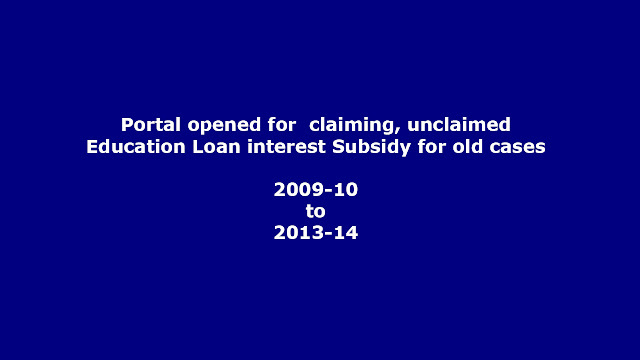 Nodal Bank Canara Bank has today (7th Sep 2015) opened the portal for claiming, unclaimed Education Loan interest subsidy for the loans disbursed during 2009-10 to 2013-14. This is an one time opportunity for all Banks to claim the left out interest subsidy claims. The portal will remain open for 30 days from today. Government of India, Ministry of HRD is implementing Educational Loan Interest Subsidy Scheme from 2009-10. Economically weaker section students whose parental income is less than Rs.4.50 lakhs, pursuing professional and technical courses in India are eligible for 100% interest subsidy during the moratorium period, when they avail education loan under IBA model scheme. Moratorium period is the study period plus one year or six months after getting employment whichever is earlier. We have written in detail about the eligibility in the following link. The students who are eligible for interest subsidy and who have not received the subsidy earlier may contact the Branch Manager and submit a letter requesting him to submit the claim. If the Branches says that they have not received any communication from their Head Office, the students can politely ask them to check up with their head office. Still if the Branches do not respond, the students can complain directly to the Regional Manager and Chairman of the Bank. If the claim is not submitted by the Banks for old cases before 10th October 2015, the eligible students cannot claim the interest subsidy later. We invite your kind attention to our circular No.RB/CIR/CSIS/15 dated 26th August, 2015 regarding old pending claims in respect of ALL THE ELIGIBLE unclaimed cases [including SC/ST and General Category] for the period from the year 01.04.2009 to 31.03.2014 as a onetime measure. This will be the final chance (copy enclosed). In this connection, we have now been informed that, the Nodal Bank viz. Canara Bank would keep the web portal open for the period from 7.9.2015 to 10.10.2015 (both days inclusive) for uploading of leftover CSIS claims by the member banks for the year viz. 2009-10, 2010-11, 2011-12, 2012-13 and 2013-14. We therefore, request all our member banks to upload all eligible left over claims at an early date, as there will not be any further opportunity for the same as per the instructions of MoHRD, Government of India. Please note that the CSIS Scheme is also applicable to RRBs, we request all sponsoring Public Sector Banks to inform their respective RRBs to take necessary action in the matter. Please be guided accordingly with immediate effect. 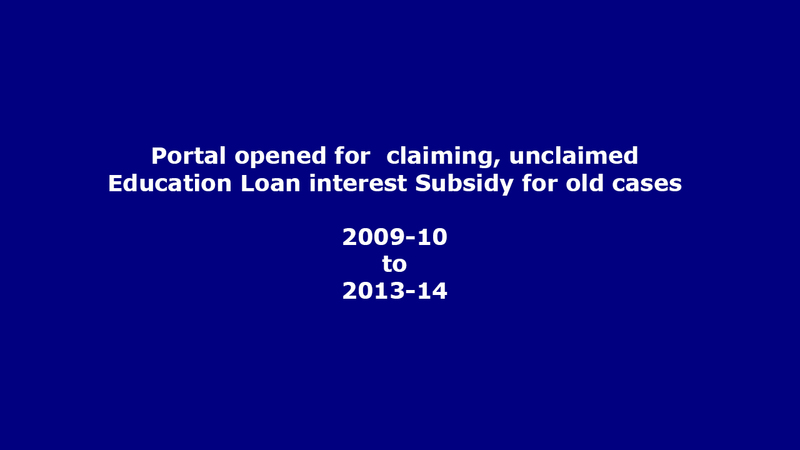 The portal for claiming interest subsidy for 2014-15 is already open and will be closed on 25th Sep 2015. The eligible students can also confirm with their Branches that their eligible interest subsidy for 2014-15, I repeat for 2014-15 has been submitted to the nodal bank. If not submitted, they have to submit before 25th Sep 2015. Banks should claim 100% of the interest charged by them, as subsidy for eligible students. In both the cases (old and current), if the claims are not submitted the branches within the due date, the students will not get the interest subsidy. In their own interest, students are advised to check with their Branches. If they need further help or clarification, they have to approach only the higher officials of the Bank. ELTF does not follow up with individual cases. Please do not write to us or try to contact us. The students have to take up only with Bank officials.